Sheila G Miller-Reese, age 71, of Dallas, Georgia, passed away Monday morning January 21, 2019 at the Wellstar Community Hospice in Austell, Georgia. She was born August 29, 1947 in Irvine, Kentucky, daughter of the late Edward B. & Martha Ann (Gaines) Miller. Sheila grew up in Enon, Ohio and graduated from Greenon High School. During her formative years, she was active in Rainbow for Girls of Fairborn, Ohio, and also sang with a variety of vocal groups in the area. She, along with her sister, Shari, and father, E.B., were well known in the greater Dayton area for their gospel singing. Upon her graduation from Greenon, Sheila attended Wright State University for one year before transferring to Hannibal LaGrange Junior College, in Hannibal, Missouri. After earning an Associate Degree she would go on to earn her Bachelor Degree in Education from Southwest Baptist University in Bolivar, Missouri. For nearly 40 years Sheila shared her gifts and talents with children in classrooms from Missouri to Pennsylvania, and Florida to Georgia. She began every new school year with enthusiasm and eagerness, looking forward to a new crop of young minds to nurture and influence. Sheila is survived by two daughters: Martha (Michael) Jackson of New Albany, Indiana; Melinda (Rich) Lambert of Kennesaw, Georgia. Five grandchildren: Wil, Wyatt, and McKenzie Jackson; and twins William and Emma Smith. Two sisters: Shari (David) Miller-Collum of Willis, Texas; Sonya (Craig) Miller-Edgington of Wilmington, Ohio. Niece and nephews: Julia (Brandon) Meyer, Joseph (Shanon) Brown, Jr., and Jonathan Edgington. Uncle: Eddie Ballard and former husband: D. William Reese, and by a host of loving cousins. Also surviving friend and care giver Elizabeth Nilsen. Funeral services are private and will be conducted at the convenience of the family. Services are under the direction of Edgington Funeral Homes, Wilmington, Ohio. 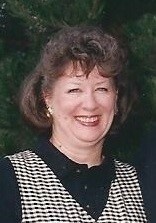 Contributions in Sheila’s memory may be made to the Wellstar Tranquility Hospice, 4040 Hospital West Drive, Austell, Georgia. To sign the online guest book, please go to edgingtonfuneralhomes.com.